And a splash of the g♡♡d stuff! Slow cooked-beef, whisky, and baby chestnut mushrooms. Chicken, mushrooms, sweet vine tomatoes, dry cured bacon, sauvignon blanc. Mushroom, goats cheese, thyme and, of course, Mediterranean dry gin. Slow cooked pulled lamb in Malbec red wine with roasted vine tomatoes, celery, carrots. Final Phase trials complete. All test subjects survived. Waiting to cool down by the window. Still being tested on monkeys & small children. Expected before the next Star Wars movie. Our mission is to cause disorder at belly level, by turning conventional knowledge about pies on it’s head. Our simple principles; fresh, quality ingredients, a splash of the g♡♡d stuff designed to specifically compliment each recipe, and plenty of divine intervention, all allow us to create a new generation of gourmet pies. Plus our secret recipe crust! Our Piggies are served a dry, fruity Malbec with their swill every night. We require that our chickens are reared on a crisp Sauvignon Blanc from an early age. Vegetarians love gin, so we created a fusion that will knock your organic socks off. … and a life of pie! Hours are dedicated to experimenting, researching, and taste-testing our pies. Children go feral, washing piles up, but nothing get’s in the way of the creative process. Welcome to the Pieniverse. 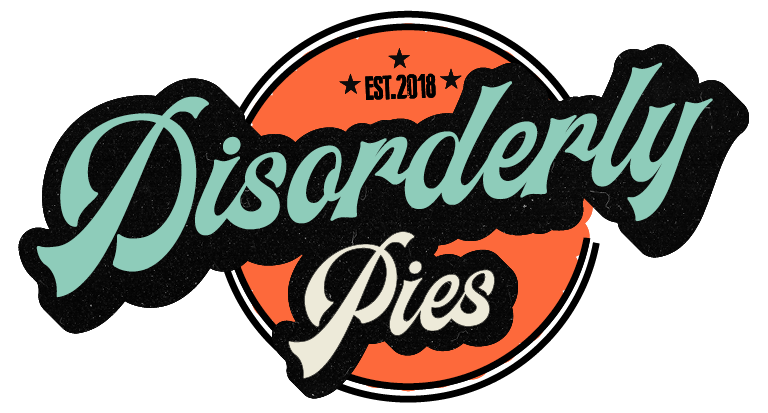 Herebe the latest news & yummy goodness served pie-ping hot into your inbox. (Or 'pie-in-box' as my two year old says).